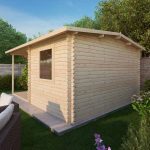 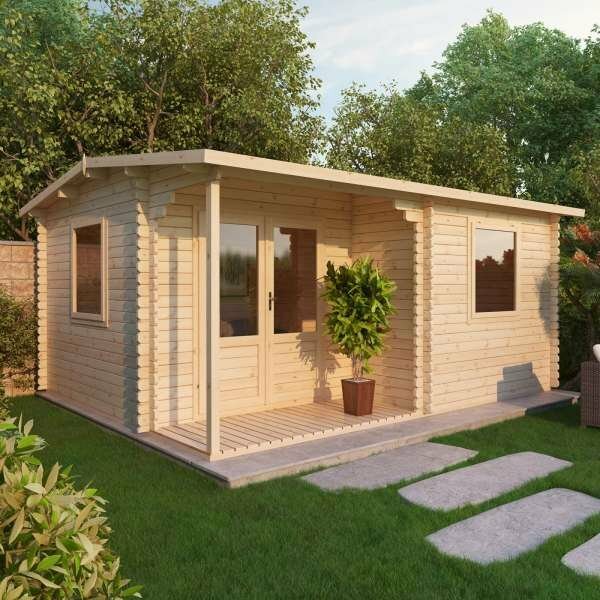 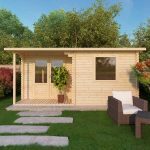 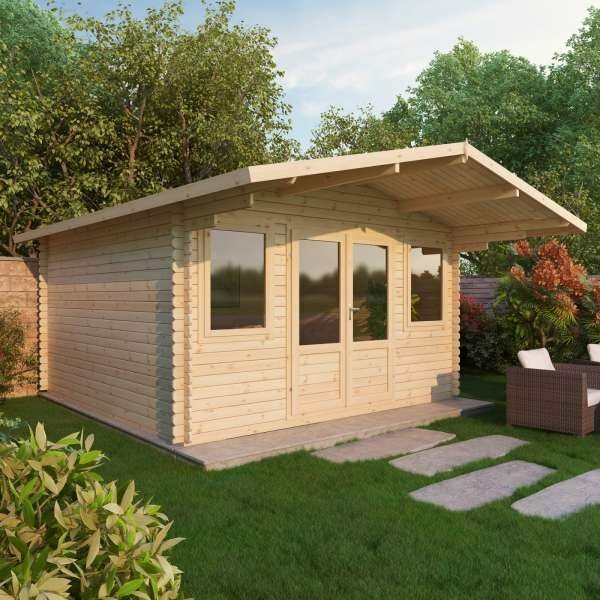 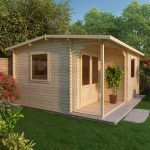 Merciafts beautiful Corner Lodge Grande has been designed specifically for both leftand right sided gardens. 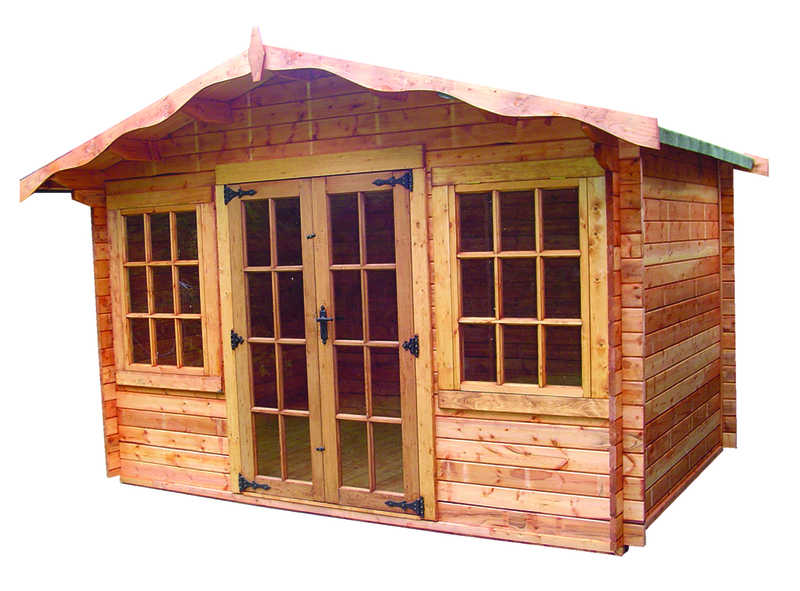 This is a beautiful range, perfect for large gardens with plenty of space. 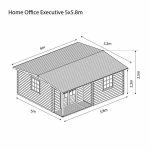 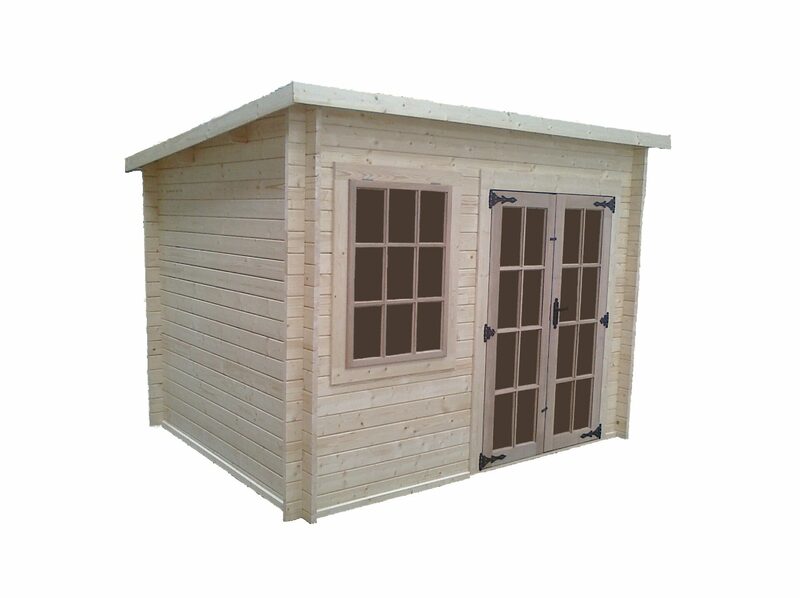 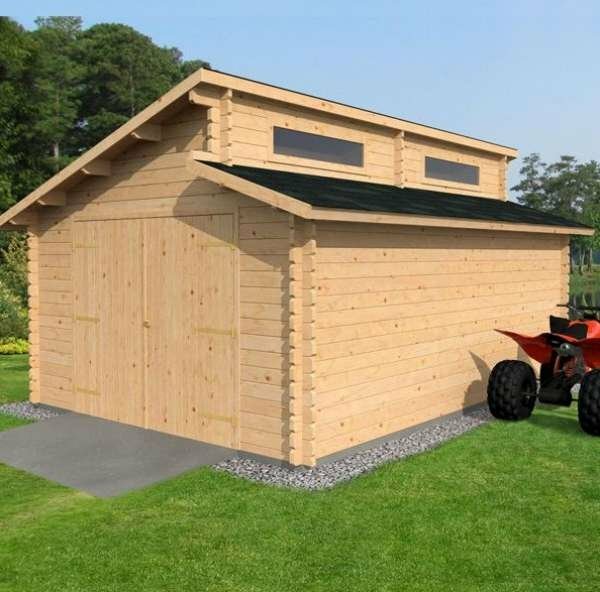 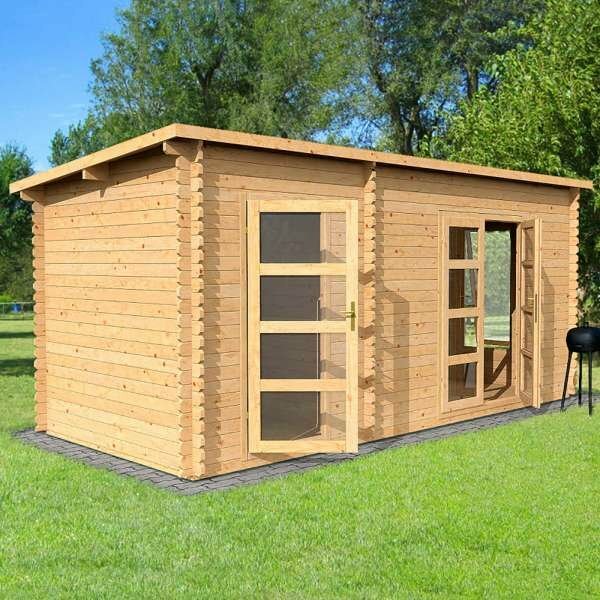 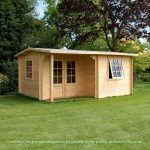 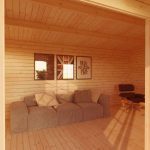 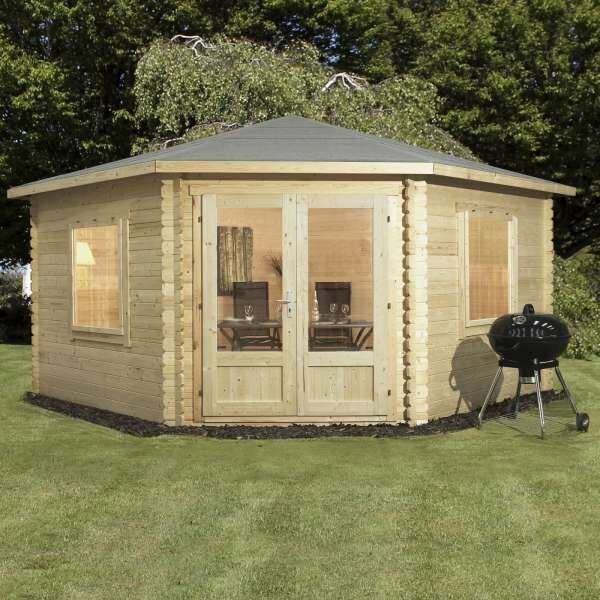 Built using interlocking tongue & groove cladding, and tongue & groove roof and floor not only makes this range strong and durable but also resistant to all weathers. 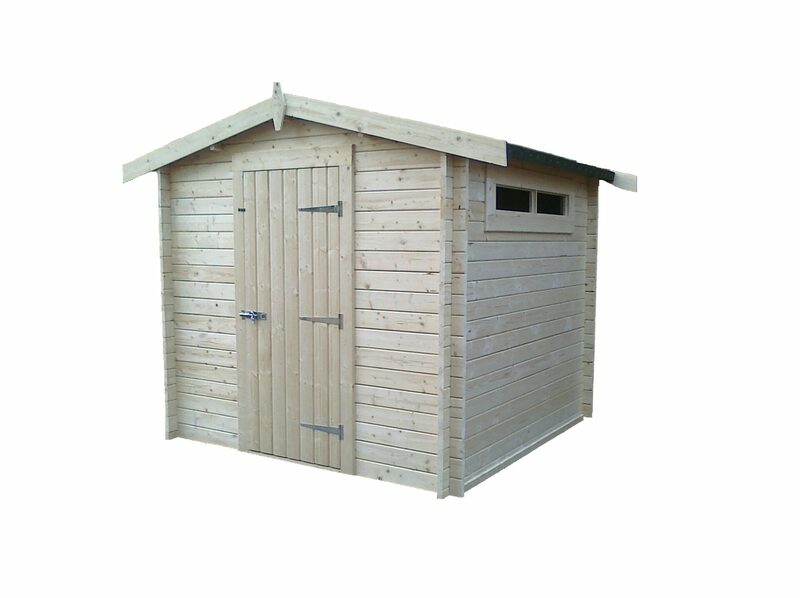 Features double doors, glazed opening windows, lock and key for extra security and high quality green mineral felt as standard.